Ru Ann Moore, age 60, of Union Mills, died Friday, September 22, 2017, at Rutherford Regional Medical Center. She was a native of Rutherford County and the daughter of the late George Adam Moore. 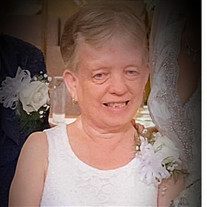 She was a member of Shingle Hollow Congregational Holiness Church, a member of the Betsy Ross 4H Club and a member of the WM Department at Shingle Hollow Congregational Holiness Church. Ru was instrumental in getting classes started to meet the needs of special needs children in Rutherford County. Seven Nephews: Grayson, Chris, Kenneth, Kodi, Jeff, Caleb and Ty. The family will receive friends from 1:00 PM to 2:45 PM, Sunday, September 24, 2017 at Shingle Hollow Congregational Holiness Church. The funeral service will be at Shingle Hollow Congregational Holiness Church at 3:00 PM, Sunday, September 24, 2017 with Reverend Jack Crain and Reverend Ben Parton officiating. Interment will be at Shingle Hollow Holiness Church Cemetery. Memorials may be made to Single Hollow Congregational Holiness Church Building Fund at 2466 Cove Rd. Rutherfordton, NC 28139. The family is gathering at the home of Lois Moore.